Locals I met joked about a woman who had reached the summit of Everest but failed on Kings all three times. I thought of this and other stories as a lance of sun jabbed its way through my car window and onto my eyelids. I crawled out of my sleeping bag in the back of my car. 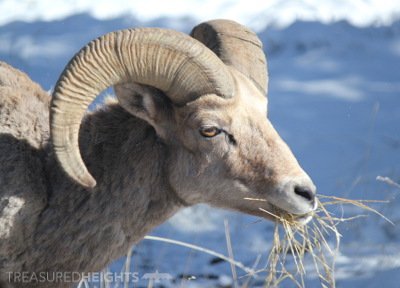 Outside, looking across the barren sagebrush and golden light struck distant snowy summits. I contemplated my last two days in the complete wilderness of the Uinta Mountains. 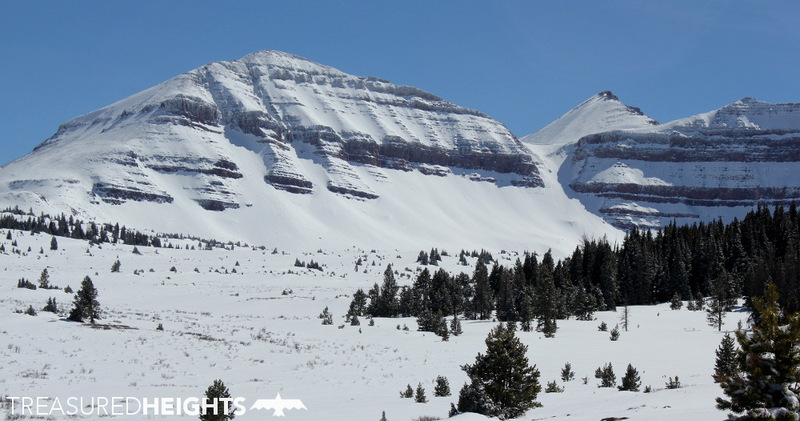 The smooth snowy summits of the Uinta Mountains sit somewhere between the Great Salt Lake and dinosaur bone-filled rocks of Northwest Colorado. The Uintas and the Ozarks of Arkansas are two of the few east-west aligned mountain ranges in the United States. In the Uintas broad flat Alaskan-wide glaciated valleys snake down from the heights into boreal forests, and eventually to the red chasm of Flaming Gorge. Trying the highest mountain in Utah this year would involve pushing my limits with over 36 miles of skiing in the Uinta wilderness. I’d never done that kind of mileage before. For the second day of the trip I decided to join the 44th annual Swanson Brothers Kings Peak Run event on the peak. Larry and Steve Swanson started skiing Kings Peak during the heavy winters of the 1970s. 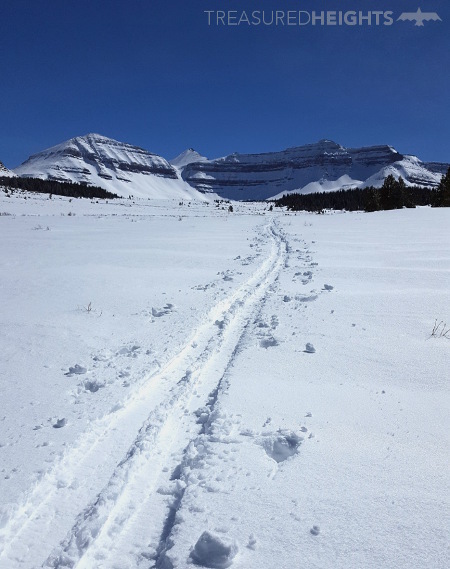 At the time no one would venture into the heart of the remote Uintas in mid winter and they have plenty of tales of adventure. Today the fit duo ski up to Elkhorn Crossing or beyond each winter, letting a few brave and strong skiers continue the final half of the trip. 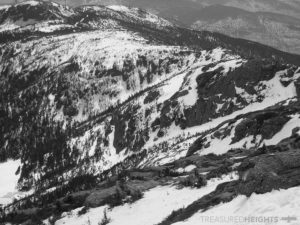 They’ve skied this route every year since 1974. I’ll write more about this incredible pair in another article. For now I’ll continue with the experience of a first timer on this elusive peak. The journey began with a drive near South Pass of Wyoming. I-80 roughly follows the path that my great grandfather and fur trapper James Clyman discovered in 1824. After spending a winter with the Crow Indians eating buffalo fat he got separated from his party, and with only a handful of bullets, proceeded to walk 600 miles back to Eastern Nebraska. 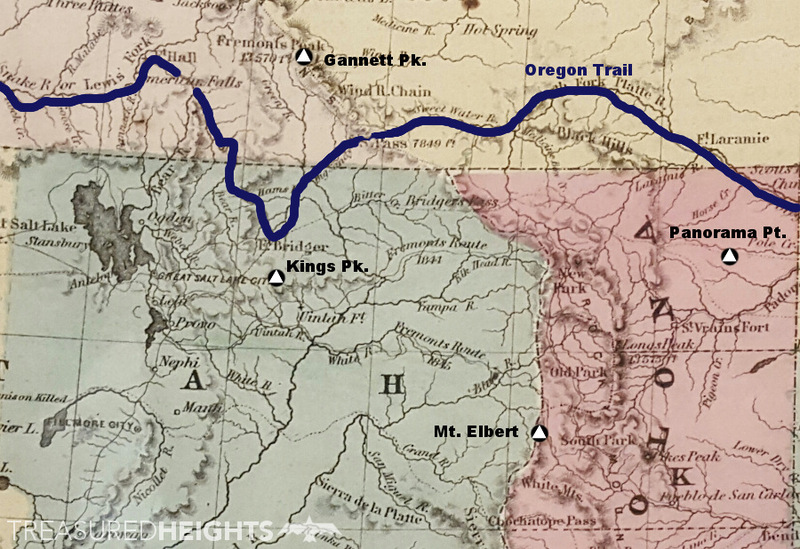 South Pass is the only place where wagon trains could later cross the continental divide and was part of the Oregon Trail. Travelers of the Oregon Trail would stop at Fort Bridger and see the wide Uinta Mountains dominating the horizon to the south. The history of the region includes the travels of Hugh Glass (played by Leonardo DiCaprio in the film “The Revenant”), Jim Bridger, Jedediah Smith and other mountain men. I recommend reading about that period of history after Lewis and Clark, but before the arrival of hordes of settlers to the area in the 1840s. The Henry’s Fork trailhead for Kings Peak is at the end of an unmaintained road, so in the winter you have to park on a bend at FR082 road. It was a raging snowstorm up here as I arrive alone two days before the rest of the crew. Two rocky ridges on both sides of the valley looked like gates to Mordor, this area called The Narrows was as far as I could see in the storm. The kingdom beyond was the domain of the wild, and not a single human soul was in the entire cluster of peaks in there. This is a different feeling than in Colorado where you know every range has visitors almost every day. Friday’s weather was supposed to be sunny so I hoped to increase chances of summiting by trying the peak on both Friday and Saturday. The next day I loaded my new Osprey pack and headed up the snowy road. I took the summer trail on the west side of the Henry’s Fork because the creek had melted out. Normally the Swanson ski event happens on the East side of the creek because it is a better route. There is a big difference doing this peak in summer vs. winter. In the summer you follow the long but well-beaten trail. In the winter there is often no visible trail, no trail markers on trees, and almost no one goes in there. If there is a skin track packed it’s often poorly routed as people get lost and have to make corrections, leading to extra miles. Extra miles in here can easily cost you the peak, or your fingers in mid winter (I won’t name this person, but it’s true). You have all types of obstacles to negotiate on the route including some steep hills/ravines, wet swamps, and featureless flats with thick spruce bushwhacking. Having someone who knows the terrain set an efficient skin track makes a huge difference. 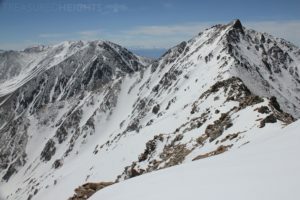 I think doing this peak is fun because It brings in classic orientation skills and is not a straightforward climb like most other western high points. Go into this expecting full-on wilderness navigation. Bring printed satellite images showing features like forest edges and peaks, and bring a topo map to assist in the case electronics fail in the cold. The route climbs at only 200’ per mile so don’t expect visuals of mountain ridges to be too much help, it’s quite flat. Be aware there are bad GPS routes out there which were set by people who made poor routing decisions, the Kings Peak routes can vary widely as the valley is wide. I camped at the 6 mile mark. The beetle kill has been harsh here and a forest of zombie trees are just terrifying. It is not safe to camp in a lot of places if there is any wind expected. I found a place protected by two massive downed trees which could stop any deadfall from crushing me in my tent. The first glimpse of the actual peak in the distance… far far away. Free of the heavy overnight gear I moved fast. I got my first glimpse of the peak. Normally when you first get a glimpse at a summit it inspires you. You have a tangible objective in view. This was the opposite. The peak was a tiny bump on the horizon. I’d already done about 7 or 8 miles and this thing looked like it was another 20. Elkhorn Crossing is the most important marker on the trip. This marks the spot where you emerge at a massive bog that gives you a straight view of the peak. Decisions based on weather can be made here. Most people turn around at this point as they realize how far they still are from the mountain. I moved onward on perfect icy crust that allowed an effortless glide. Miles and miles went by and the peak gradually grew bigger in view. At 3pm I reached my absolute turn around time. The sky was perfect and blue, and the peak clear. It felt a shame to turn around, but being alone in one of the largest wilderness areas in the American West I felt it was a good idea. A few puffy clouds did slide over the peak foreshadowing the next day’s rough weather. I arrived at camp with plenty of sun left. 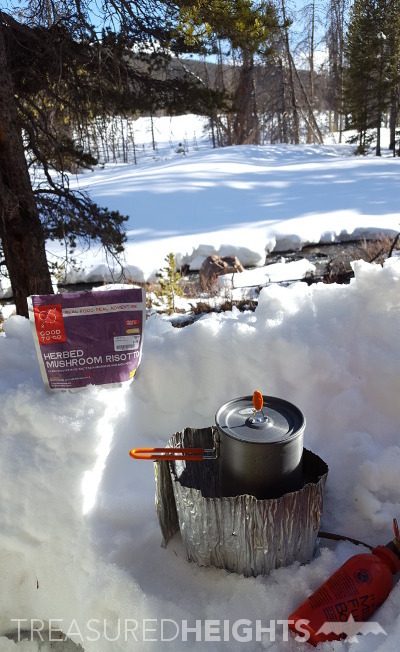 I sat at my tent, cooked dinner in the sunset and observed birds bathing in the icy stream. While I admit I had a lot of anxiety trying a peak like this alone so far from anywhere. At dinner I finally reached a peaceful state of mind. There was complete solitude and buffer of 25 miles of distance from the nearest paved road. The peaks of the Uintas are protected in the High Uintas Wilderness. Threats from oil drilling have been at the boundaries since the 1980s and could be a further threat under the corrupt leadership of Secretary of Interior Ryan Zinke. He approved 3000 new oil and gas wells at Flaming Gorge north of the wilderness in 2017 and has dumped many millions of acres of mineral rights on the market before Bureau of Land Management studies had been completed. The heart of the Uintas is one of the last great wilderness blocks in the West and people should fight to keep it protected. The Wasatch is not even comparable in terms of wildness, the Uintas are definitively the greatest high elevation wilds of the whole state. Because of the mileage of this peak it is important that you optimize your setup for efficiency. Heavy fat alpine skis with heavy Marker Duke bindings would be very poor choice. Skinny touring skis are a real advantage here until the very end of the trip when it gets steep. Any binding problems can be a very serious problem as it can leave you stranded many miles from any help. Bring tools and perhaps spare bindings. At the very least bring duct tape and wire for improvising. Another thing to watch out for is snow conditions. Having sticky snow and crusts can be annoying in short trips, and lead to major delays in progress when compounded over King’s big mileage. Icing on skis is another issue as the added weight will make a difference here. Talk to your local ski store about tuning and checking the condition of your bindings. Continue this trip’s story in another article later this season. Stay in touch with photos and articles as they come out by connecting to our Facebook or Instagram feed. Fauna of note: black bear, elk, moose. No wolves or grizzly have made it here yet. Conservation threats: oil development. In the 1980s Reagan allowed drilling for oil north of the wilderness. Drilling is expanding here as new fracking and multi-directional drill technology allows companies to tap into new parts of older fields. We are currently editing 2017’s shoot and will continue with a shoot in 2018. We expect the Utah Episode of Skiing States to be published in May of 2018. 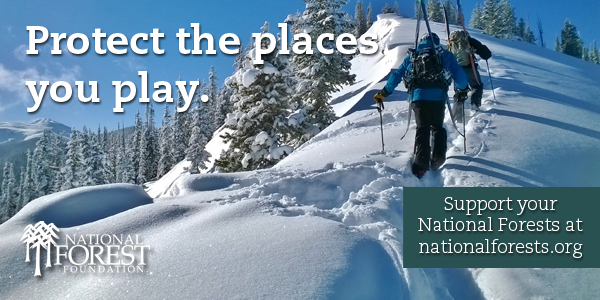 Check our YouTube Channel for videos on skiing state high points from East to West. News of videos or articles will be posted on Facebook. 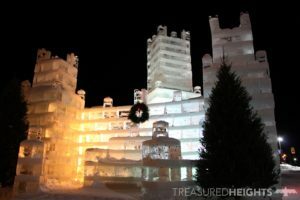 Get weekly photos on your feed from Treasured Heights from around the US on Facebook or Instagram.